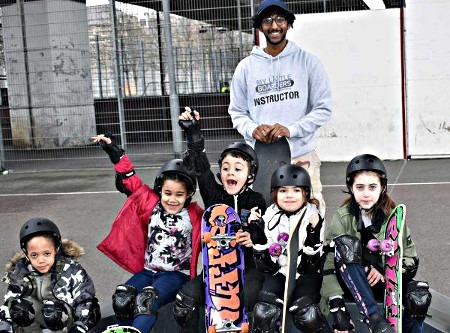 Mylittleboarders specialise in teaching beginners to feel confident on a skateboard and have created a bespoke programme they will learn from. Our specially trained instructors are fantastic role models who are patient, nurturing and understand that a child has to start somewhere. We tailor our sessions to the ability levels of the skater, so that beginners are grouped together and can learn the basics whilst the more skilled skaters can learn the advanced part of the programme. 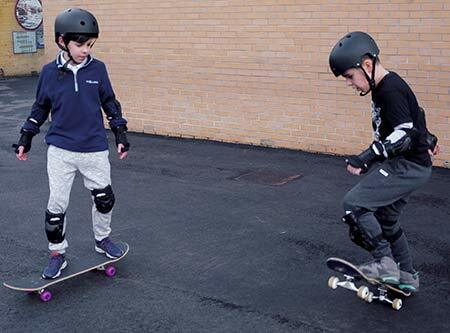 Skateboarding is particularly good for coordination and motor skills as it crosses the midline of the body (Occupational Therapists recommend this for children who have co-ordination issues because it strengthens their core balance). We are working alongside leading professionals in this area to devise a more concentrated programme to really benefit children who attend these sessions. Foremost our goal is to encourage more children to skateboard outdoors endorsing a more active and healthy lifestyle. 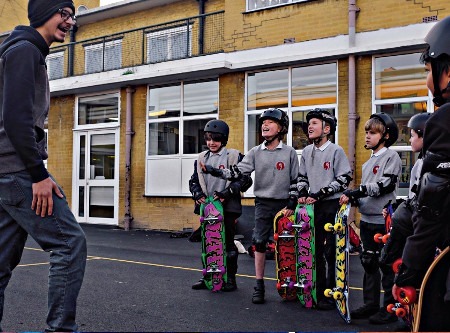 Mylittleboarders have been teaching in many London schools for several years and have seen many of their pupils develop into confident skaters. We teach per term offering between a 10 – 12 week programme based on our wristband system. We travel to the school with all the equipment ready for the weekly session. With Afterschool clubs becoming an intricate part of school life, why not introduce your school to this wonderful new activity for all to enjoy!